After a long wait, Kodi 18 is finally out. You can now download it for all supported devices including Amazon Firestick, FireStick 4K, Windows PC, Mac, and Android among others. Kodi 18 is expected to be better. A major refactoring and innumerable changes have been done to the GUI. It is a project that has been in the cooking pot for close to 2 years now. Related videos: Watch my Supreme Build YouTube tutorial or my Kodi 18 No Limits Build Wizard install tutorial on YouTube. I strongly recommend you follow the written steps below if the Kodi 18 Build tutorials above don’t work for you. Why? Because in the written steps below, I also give you a 2nd URL in case the primary URL isn’t working for Kodi 18 Xenon Build. If you have been enjoying the previous version Kodi Krypton, you can be sure Kodi 18 Xenon Build will do more than you can expect. In this article, we shall be looking at how to install on a windows device. The first thing is to go to the Kodi SYSTEM icon. This is found represented by a tag wheel in the middle, on the left side of the home menu. Select add-ons, then to the right and scroll to unknown sources. A pop-up message will come up asking you allow add-ons access personal data. Click yes. The slider will turn white indicating you have enabled the unknowns. Click back, or escape on the firestick. Now that you have turned ON Unknown Sources, you can now go ahead to install add-ons. The first step here is to enter the repository URL. Then, you can install add-ons after this. What is a Kodi repository? A repository is a website that stores an add-on for download. There are many repositories on the internet that you can add to Kodi. Consider the diggz repo add-on shared below for instance. Click on SYSTEM and scroll down and over to file manager open. Scroll to add source and click to open. Check where it says NONE. Go to the name box and give it any name (I recommend “diggz repo”). Then click ok.
Scroll down and click ok again before exiting to the main menu. Once on the main menu, click on settings again and scroll down to add-ons. Click and go to the open box up left. 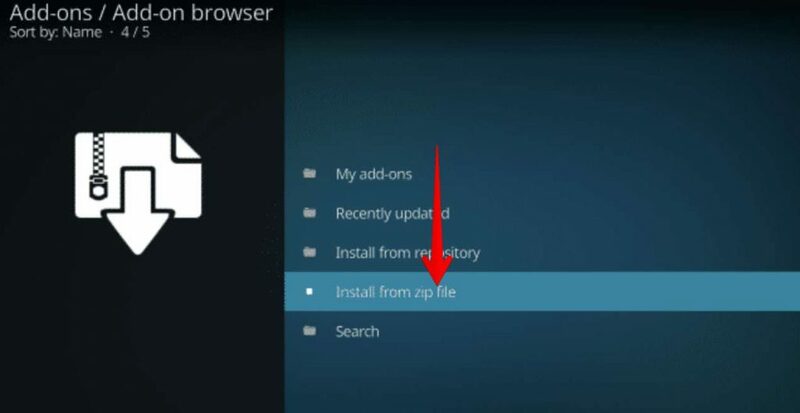 In the open box, scroll to install from zip file and open the file source we added (which we named “diggz repo”). Scroll down to install repo and click. From there, click on the repository Zip file. Wait for a notification to pop up in the right corner up. Go back to install from repository and click on the diggz repository. Scroll down and select “Program add-ons”. Now select Chef Wizard. IMPORTANT: If you’re using Kodi 18 Leia, select “Chef Wizard 18“. Here, you will find the latest chef wizard tools. Click on install and wait for the Kodi 18 Xenon Leia / Krypton wizard to download. A notification will pop up at the top right window, and the installation will start automatically. Click on continue, then select Builds menu. 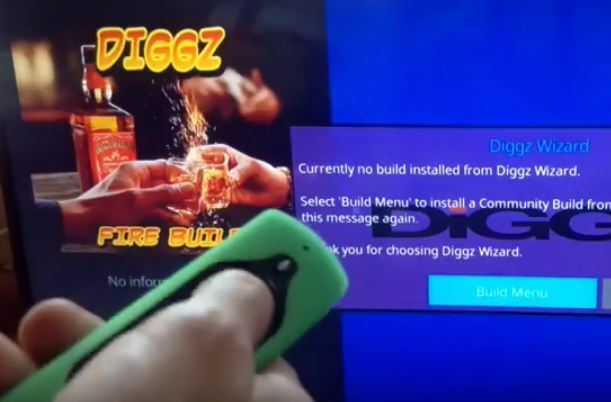 Click Builds, highlighted by the blue line then go over to Diggz xeron and click on it. Scroll down and select “Fresh Install” to reset Kodi and install Xenon. Or press “Standard Install” to leave what’s in Kodi then add Xenon Build. Click yes on the notification message that pops up. The installation will start. The download may take a bit long to download. Because the file is large, you may want to improve the speed by holding the firestick a bit far from the Tv. Be patient and wait until the download is over. Once the download is finished, it will automatically start checking for errors. Allow this process to go on until it is finished before proceeding. Depending on the strength of your connectivity, this may also take a while. When it is finished checking, it may seem as though it is hanging (or “Kodi is frozen“). You may be tempted to cancel but that that will only take you back to the start. Wait for it. Once that process is complete, a pop messaging prompting you to force close Kodi will appear. 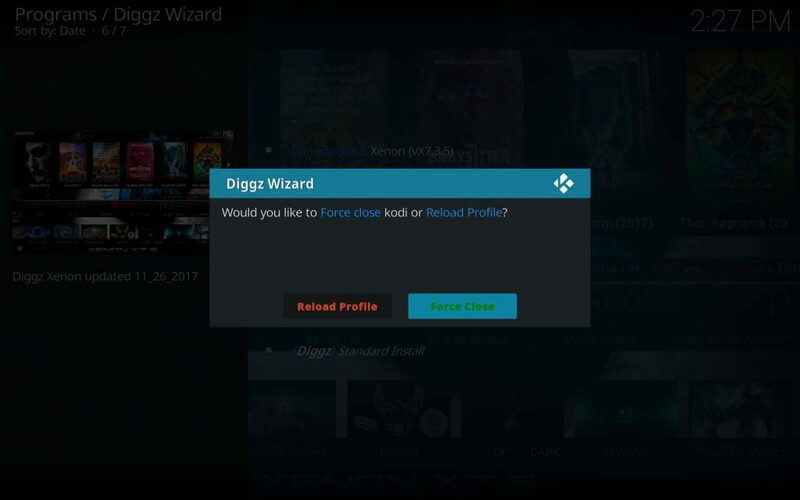 Click ok too and let Kodi close. You need to make sure the close down is complete. The best recommendation is to unplug everything from the power source. This is an important step that you should not skip as it may affect what happens next to your system. Take a few moments and the reboot Kodi. Simply reconnect back to power and go back into Kodi. When reconnect, you will have Kodi Xenon 18 build. Just like any other new Kodi builds, it will take a while before fully updating. Give it a few minutes they start enjoying your favorite programs. The importance of using add-ons is that they allow you to watch your favorite videos by exposing you t the best sites. Once you select a video to watch, it may take about 60 seconds for the add-on to find the best links available. It will then display the links. Click on the first link and allow Exodus to go through them. It will not take long before the one you selected starts playing. Sometimes the link you click on may bring up a popup asking you to pair. Click cancel, and it will move to the next link available on the list. And when the next link starts to show signs of buffering, stop it from playing. Move through the next links until you find the right one. Do not worry if it takes longer to find the link. Sometimes it takes longer, while other times it is very simple. You just need to be a bit patient. For those who are using an older version of Kodi, you can still update it to this new version. Kodi 18 Leia is a great improvement and a huge step from all the rest. Perhaps this is the feature that makes it the best accessory. Kodi 18.0 supports gaming. 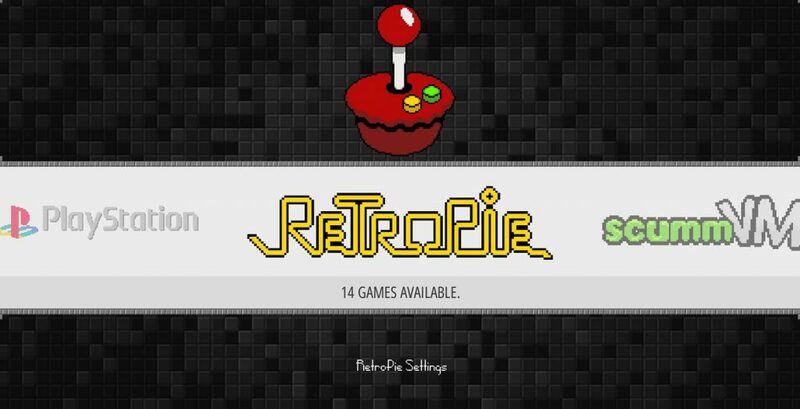 To be clear, it uses the emulators that run retro games. As if that is not enough, it supports new input types like gamepads, joysticks and many more. There is a new games category found on the main menu. You will be asked to install emulators that are supported. There are not many the ones on now are good to start from. The first time you launch Kodi brings up a very familiar interface. The current changes are quite few and subtle but not different from the other releases. 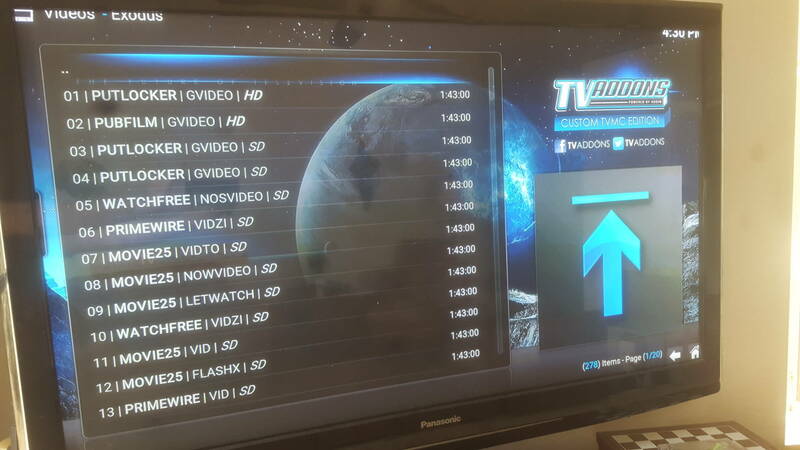 But there is a new major feature in Kodi 18 Leia: PVR Guide display, as in the screenshot below. There are some changes in the application settings as well. 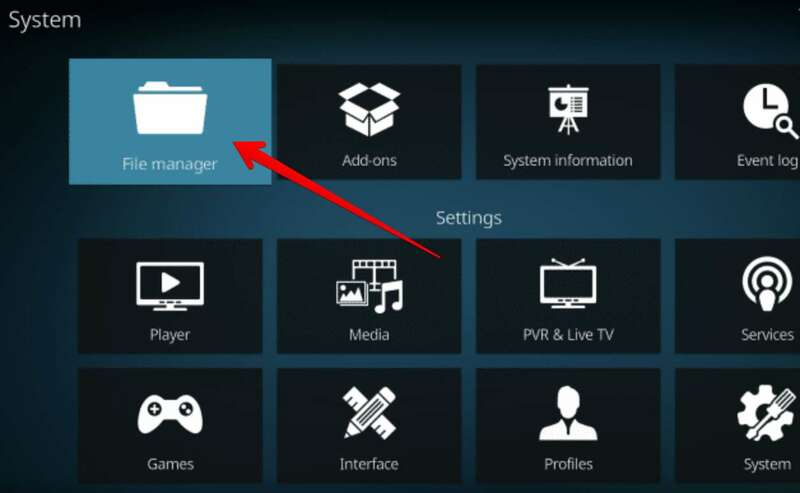 Different group settings have been reorganized as well including Kodi’s File Manager, Add-ons system, System information, and event log. The general playback of 4K and 8K videos are greatly improved. There is no support for other technologies like HDR and many more. The team has optimized it to utilize your CPU or GPU fully. These means other platform and devices are all set to work perfectly. 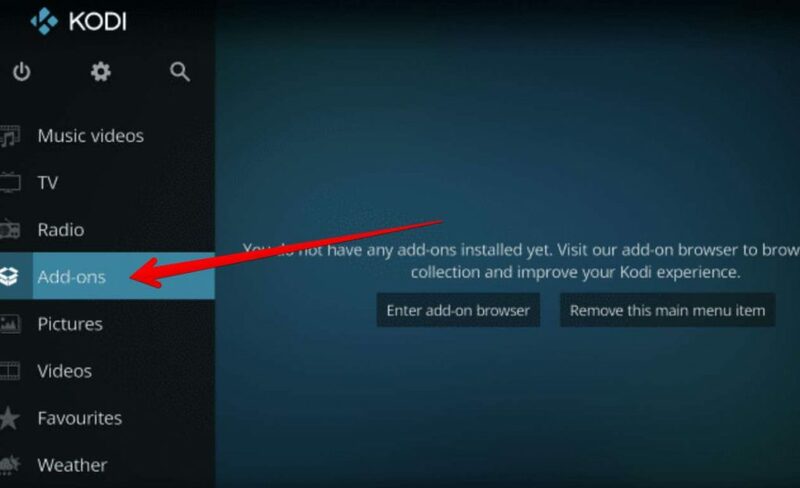 Click the image above to see my tutorial on how to install the amazing Kodi No Limits Build. 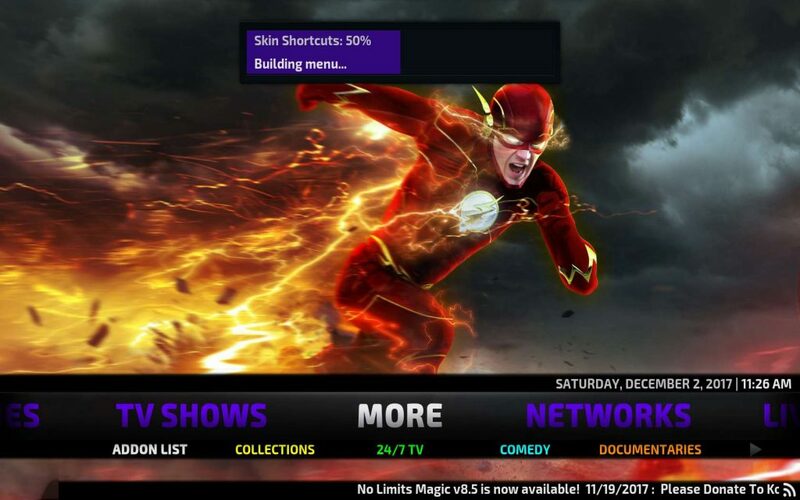 No Limits Magic Installs and Updates Itself! 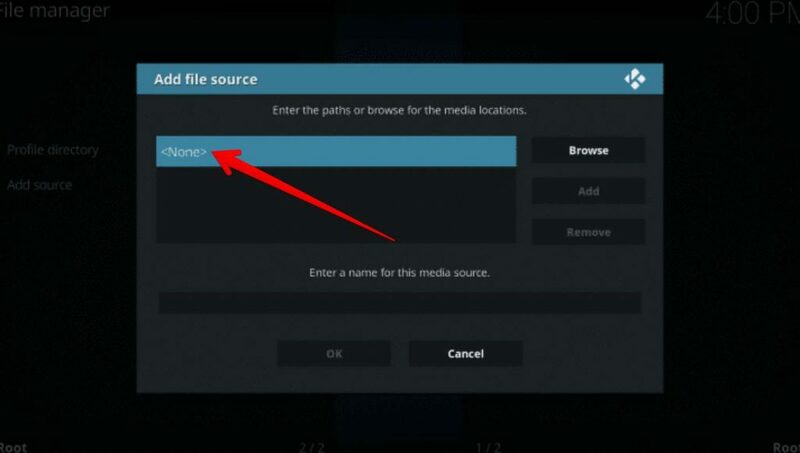 Other improvements such as on Blu-Ray support make disc detection, and metadata brings in the best of Kodi. It can manage 3D video playback effectively now. When using Kodi, remember to connect via a trusted VPN. There are many prying eyes you may want to stay clear of legal issues.